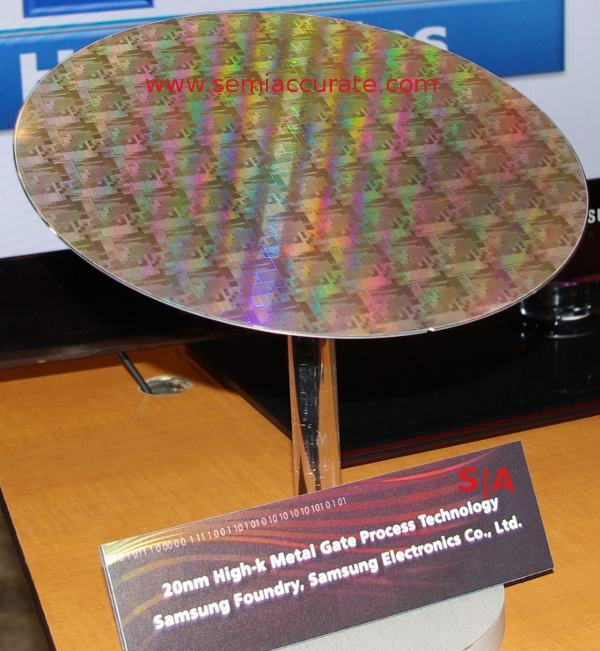 Samsung wasn’t going to be shown up by IBM at the wafer bragging sweepstakes, so they showed off a 14nm wafer and a 20nm wafer. OK, IBM did it a year ago, but now Samsung has it too. 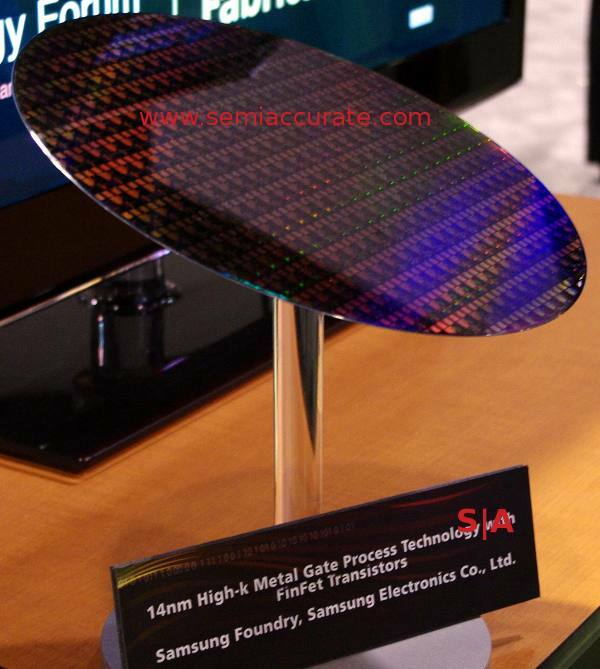 Not much to say here, we showed you the IBM 14nm wafer yesterday, and true to the Common part of Common Platform, Samsung has one too. Yes it is FinFETs, no there were no specs given, and yes it is pretty, and shiny too.